Use the best VPN UK to watch British series from anywhere. If you want to watch the British television series and a sports telecast from anywhere outside the country, Le VPN is of help. Le VPN is among the best VPN UK providers. When you are not at home or traveling, the only way for you to stay connected to the internet is through mobile data or public Wi-Fi. Now both come with their own set of disadvantages. Using mobile data to access the internet would result in a surge in your phone bill, and you won’t be able to download large files over mobile data either. Additionally, if you connect to the public Wi-Fi in a cafe or anywhere else, you must remember that it isn’t very safe. Such public and shared connections aren’t very secure. And hackers are always on the lookout for vulnerable connections. This is why a VPN would come in handy. Why Do You Need The Best VPN UK? A VPN stands for a virtual private network. A VPN router would help you connect your IoT devices to the internet in a secured fashion. If you are constantly on the move and are required to use public Wi-Fi, then it is best if you installed the mobile VPN app onto your phones. Le VPN’s best VPN UK service would shield and protect you from hackers since all the data that is transmitted over a VPN connection is encrypted. No one, irrespective of the internet service provider or even hackers would be able to see what you are doing online. 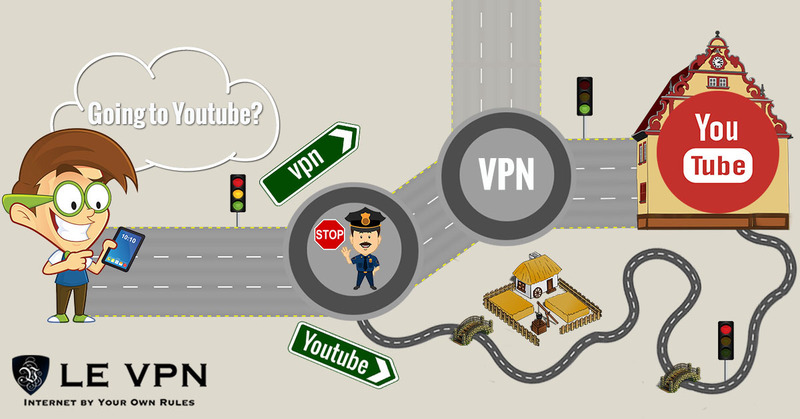 Therefore, you are safe while browsing the internet with Le VPN. How Can You Install VPN On Your Phones? You might be under the impression that using a VPN requires extensive knowledge about technology. But that’s not the case with Le VPN. All you have to do is download the best VPN UK, and you’re good to go. These are some steps that you should follow while downloading the app. Firstly, you must get your hands on a Le VPN’s VPN Android for your phones. Le VPN offers different VPN apps for different platforms, including Android, iOS, and windows. You must ensure that you get the right app from Le VPN. Download Le VPN, which is among the best VPN UK provider. Subscribe to Le VPN and login with user credentials. Select any nation from the list and tap on the red button to connect. You can also connect automatically to the nation already pre-selected for you. Once you connect successfully, the red button turns into a Green. You can easily logout by just tapping on this green button. The best part is you can use Le VPN on more than one device simultaneously. Using the best VPN UK is as easy as that! All you have to do is to download it. At the same time, Le VPN’s great prices. Subscribe to Le VPN’s 2-years of service for only $69.60.